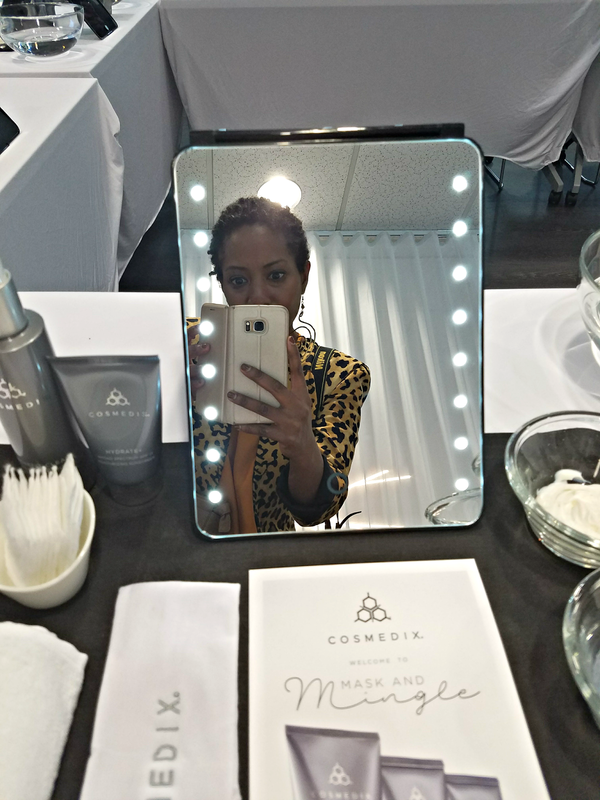 Thanks to Cosmedix for sponsoring today's post and treating me to a relaxing afternoon of mask application and mingling with fellow bloggers. I tend to have dry, sensitive skin so I keep my skin care cleansing and moisturizing routine pretty simple and basic. My skin gets pretty angry when I apply new things. A new crop of pimples or a patch of dryness usually follows. The older I get, the less effective my simple routine seems to be though. Even with my increased water intake, my skin is still incredibly dry. 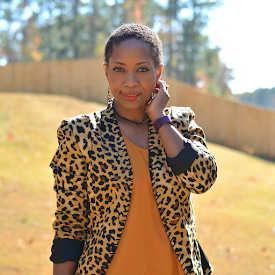 This melanin along with a monthly breakout leaves lingering dark spots. I'm starting to see a few lines too. Too much smiling and laughing, I guess. 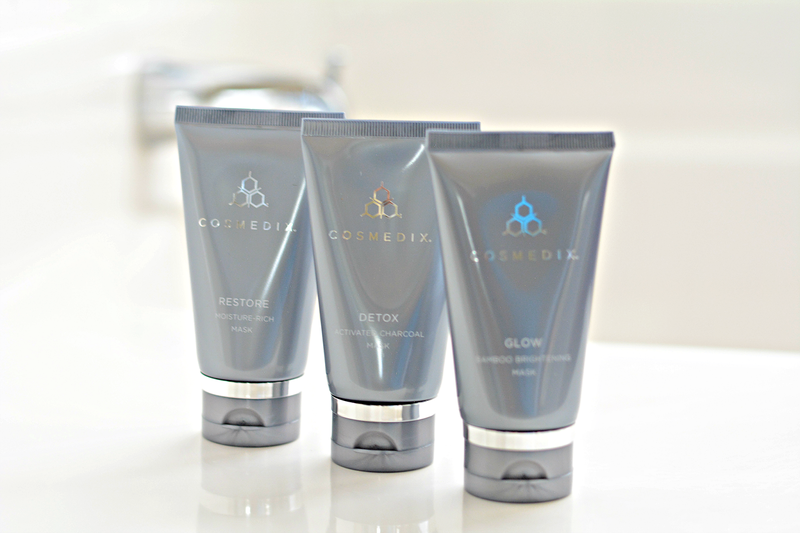 Cosmedix is well known in the spa community for its higher level active ingredients that ensure maximum efficacy. Their newest masks for home use will soon be on the market but I was fortunate enough to get a first look at them and try them out before the official release date. The new masks are high quality and botanical based just like the entire line of products from Cosmedix which set my mind at ease about experimenting on my temperamental skin. The all natural formula deliver results without animal byproducts, chemical fragrances or artificial dyes that can irritate skin. 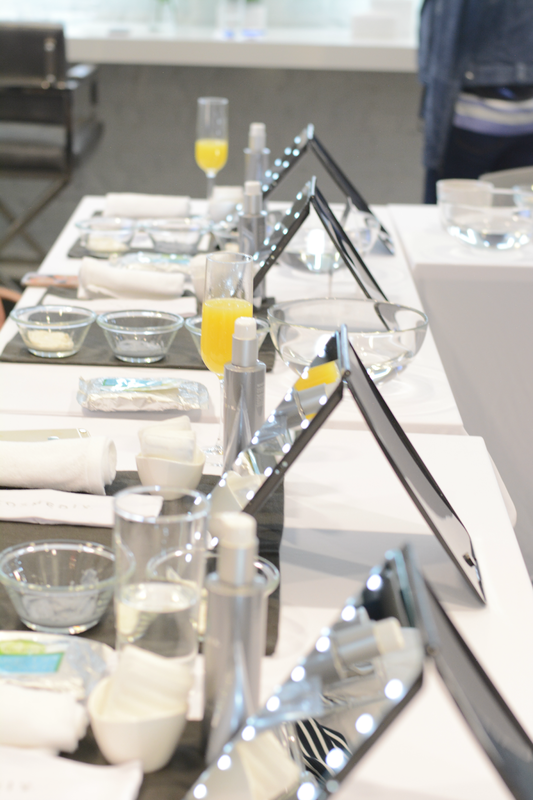 The new collection (Restore, Glow, Detox) focuses on key benefits of face masks. With regular use, they even skin tone, smooth lines, and remove impurities revealing softer and healthier-looking skin. Smooths fine lines and wrinkles. 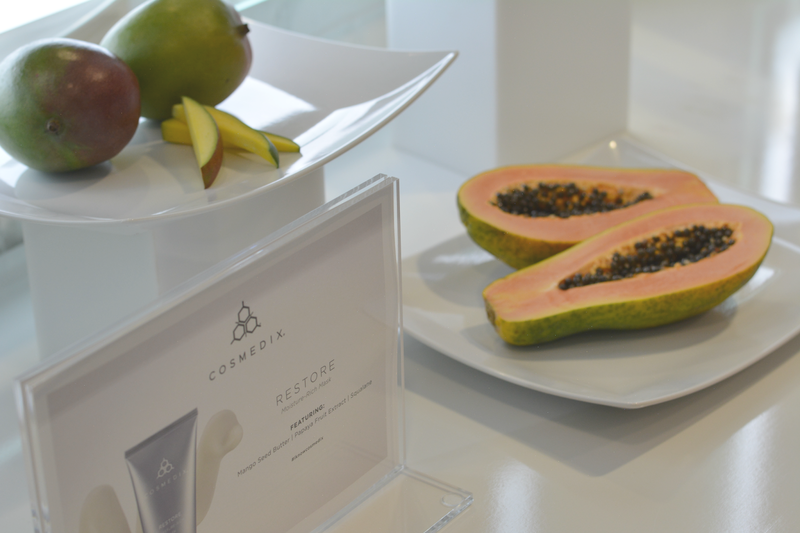 Cosmedix Restore Moisture-Rich Mask plumps skin to smooth out wrinkles and refines skin texture. Restore uses moisture, vitamins, and essential fatty acids to help promote water retention and proper lipid balance. Complexion is healthier looking and feels softer and revitalized. Evens skin tone. 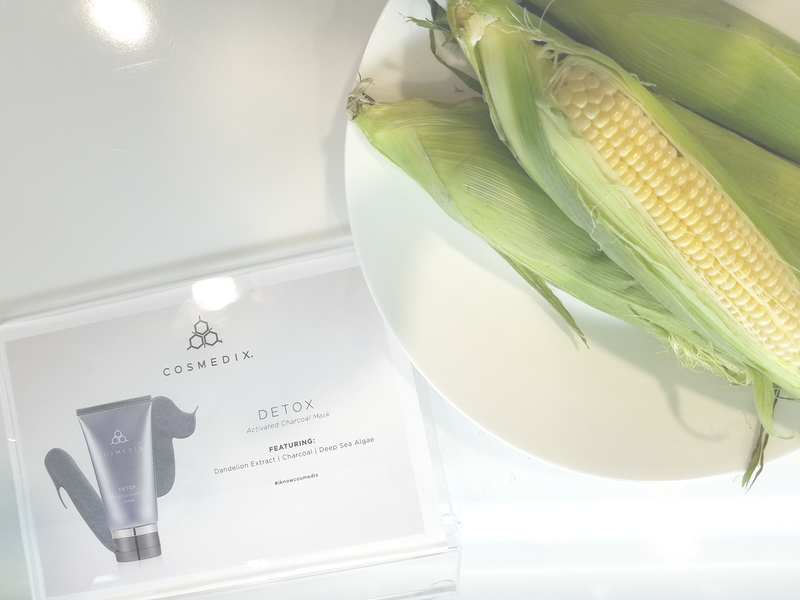 A brightening mask like Cosmedix Glow removes dead surface cells first to provide optimal absorption of brightening ingredients and reduce the appearance of discoloration, uneven skin tone and roughness for smoother, brighter, luminous skin. Removes impurities. Cosmedix Detox draws out impurities and excess oil with magnet like charcoal and absorbent clay. It cleanses away pollutants from congested pores for a visibly brighter, more radiant complexion. My favorite from the line is the moisture rich Cosmedix Restore mask. It felt so good to slather it all over my dehydrated face. It was easy to remove and my skin didn't feel tight after. I also didn't experience any breakouts that sometimes happen when using new products on my face. I left the Cosmedix offices feeling relaxed and fresh faced like I had a spa day with the girls. You can find more details of the entire line of skin care products available from Cosmedix by visiting cosmedix.com or following hash tag #iknowcosmedix on social media. 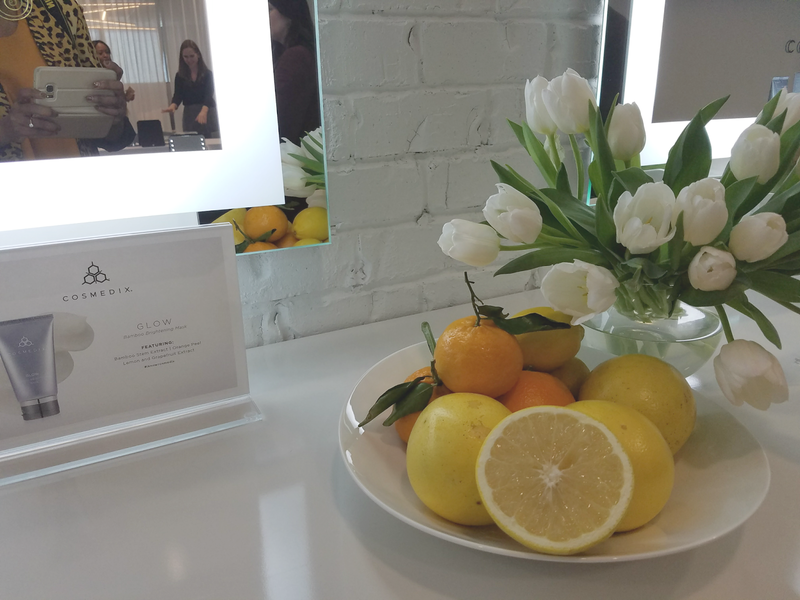 Besides a delicious lunch and playing with masks, we were treated to a tour of Cosmedix's new offices including a blogger's dream space. The studio lighting is amazing. The Cosmedix team kindly offered up the room to us if we ever wanted to use it. Take a peek! How often do you treat your skin to a facial mask?